Everyone loves free stuff. Why else do you think those free samples in grocery stores run out so fast? It’s a business model as old as time itself: if something’s free, chances are consumers will flock to it like seagulls to a hotdog. This is one of the reasons Greg Zaal, founder of HDRI Haven, has made his collection of high-resolution unclipped HDRIs free for anyone to use. The main reason? Creative freedom. As an advocate of giving everyone the same tools to spread their imagination, Greg’s plan from the start was to make HDRI Haven free for everyone. Of course, things didn’t start out this way. Creating and publishing HDRIs, as well as the costs of running a website, don’t come cheap. Greg thought up various business models which would allow people to use his content without going bankrupt in the process. This ranged from a traditional pay-what-you-want system (PWYW), where people could download HDRIs for free but could donate whatever they could spare, to putting up a monthly subscription plan. 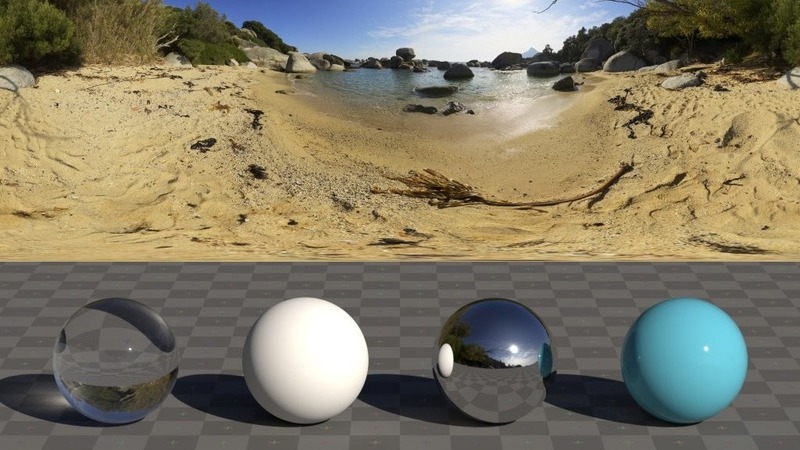 In the end, the initial business model for HDRI Haven was to allow free downloads for low-resolution HDRIs while the higher resolutions would be made available for a small price. If it sounds even a little bit like a money grab, don’t worry; Greg thought the exact same thing. Even though he managed to make a living this way, he still wanted to push for 100% free, high-quality HDRIs. He started releasing a free 16k resolution HDRI every Friday as well as paid HDRIs on Tuesdays. This was just to test the waters and see how consumers would react to having free stuff. As human nature would dictate, people loved the idea so much that they started buying his paid stuff as well. Now Greg has made the entire site a haven for free HDRIs to be used by anyone, with a Patreon page should they ever wish to donate. Donating gives incentives like access to a Google Drive folder containing all of Greg’s HDRIs, early access to new HDRIs, and some exclusive ones as well. You can read the whole story on the webpage’s blog section, and as for those free HDRIs? Well, you already know where to go.